Here, we describe in just one or two sentences the core of what you need to do to answer each LSAT LR question type. While it’s not technically cheating, if you always stay focused on just these tasks when doing the questions, you will score as if you were cheating! Beginners and intermediate LSAT students tend to get way off task and invent their own, incorrect methods for reasoning through a problem. That or they often try to use techniques from one question type to try to solve another question type, where that technique is now totally useless. Unfortunately, that’s not at all how you determine whether something is a right answer on a necessary assumption question. Learn the core of what you are supposed to be doing on each question type and stick to that task and that task only. Keep this cheat sheet handy when you practice to make sure you are doing the right thing. In a very real sense, the LSAT is a test of your ability to follow directions. If you understand and execute the tasks below on the appropriate question type, you will be on target and following directions. Although just two sentences can capture the core of what you have to do on these question types, learning the HOW of doing these tasks is a longer process. If you don’t yet understand the strategies listed here, grab a great prep book or, better still, jump in our course within the LSAT Mastermind Group. For NA questions, find an assumption (premise) among the answer choices that, if false, would make it impossible for the argument’s conclusion to be true. Note that adding this assumption need not prove that the conclusion is true (unlike sufficient assumption), however, without the assumption being true, the conclusion could never be true. Find an assumption (premise) among the answer choices that, if true and added to the other premises in the stimulus, makes it so that the argument’s conclusion must be true as well. The premises + the correct answer choice must = a definitely true conclusion. The stimulus will give you an argument where the truth of the premises does not 100% prove the truth of conclusion. Look for an answer that helps make it more likely that this conclusion does indeed follow from these premises, e.g. by eliminating an alternate conclusion or providing some other necessary assumption. As with strengthen questions, you get an argument where the truth of the premises do not yet guarantee the truth of the conclusion. Your goal is to find an answer choice that makes it less likely that these premises do in fact lead to this conclusion, often by suggesting that the same premises could lead to an alternate conclusion. Flaw questions will contain an argument where the conclusion does not logically follow from the premises given in support of it. Your job is to find an answer choice that best explains why these specific premises do not support the conclusion. Your goal is to find an answer choice that describes accurately the conclusion of the argument. If there are two conclusions, you find an answer choice describing the primary conclusion (that which is supported by the subsidiary conclusion, which is itself a premise). The stimulus contains an argument. You must find an answer choice with an argument that follows the same structure in its reasoning (meaning the relationship of the premises to the conclusion is the same in both the stimulus and the answer choice passage) and has the same scope (level of certainty). Exactly the same as parallel reasoning, but now you must also make sure that the argument in the answer choice makes the same error of reasoning as the stimulus argument. Take all the facts in the stimulus as true. Then, you find an answer choice that, given those facts, absolutely must be true as well (it cannot be false). Stated differently, the correct answer choice can be properly inferred from the facts in the stimulus. On a resolve the paradox question, you will be given two apparently contradictory pieces of information.(facts/events/states/etc.) It’s your job to find an answer choice which, if true, helps explain how both these pieces of information might also both be true. In the stimulus, two different authors will speak to the same subject. You must find an answer choice describing one thing that both authors discuss and that they disagree about. The stimulus will contain an argument, and you are asked to find the best answer choice to describe the reasoning in the argument. This will mean finding a more abstract way to describe what is happening in the stimulus argument. 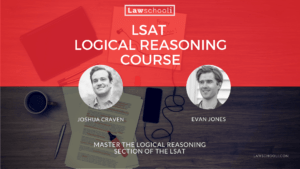 If you want the best experience possible learning this stuff, then join a small, committed group of LSAT students who are learning with Josh and I in the LSAT Mastermind Group. 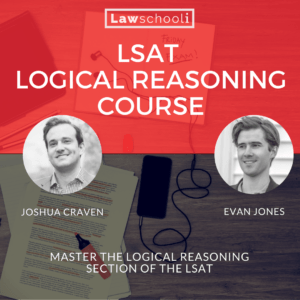 For about the price of an hour and a half of LSAT tutoring, you get to lifetime membership to a network of driven peers all focused on getting into the best law school possible. You’ll access private forums where Josh and I will answer any LSAT, admissions, or law school question you have, from now until… well, for life. Moreover, it’s your first opportunity to form a professional network of peers. Member are telling me that it’s been a really enjoyable, close-knit environment so far, especially in the live meetings which we do twice weekly to talk about admissions and LSAT topics. Previous ArticleThe 2016 US News Law School Rankings Are Out! Help! I have been following a consistent study schedule since mid-July but my test scores keep going down. My first diagnostic was 162 so I have been trying to improve, but each test I take goes down…I’m at a 157 right now and so frustrated! Any tips? I have used parts of the powerscore books and lots of practice tests. Thanks!!! Thank you very much for the concise version of the LR Question types! I am currently following the 4 months study schedule and I am up to the Power Score LR Book. My question is: The Trainer and Power Score have different takes on whether or not to read the question stem first. What is your general observation regarding the method? Thank you for your time. Hi, I have tried to e-mail you guys about the “expert forum” you mention in the schedule, which I can’t find, but neither of you has replied. How do we contact you if we have questions about your product? I’m considering investing in a schedule but I wasn’t sure which one would be best for me, since it’s not available to be previewed. I sent an email earlier about schedule recommendation (14 vs. 16 for the October LSAT). Just wondering if it went to your spam or not. Thanks for checking! I’m having issues with logical reasoning, but you guys have a bigger problem with your hosting services. I linked to the article via your newsletter, and now I keep getting the pop up asking me to sign up for your newsletter. And the”x” that is supposed to close the window? Yep…it’s not working either. I don’t know if it is just this messed up on mobile devices or what, but it is really hard trying to read above the window. There is no place to contact you other than leaving a comment. Just thought you should be aware of how difficult it is to read the site like this. Thanks for letting me know! I adjusted the settings to disable that signup form on mobile. Please let me know if you continue to have issues! The LR cheat sheet is fabulous! When do you think you will have the LG’s? I bought the 10 week lsat prep schedule on this website and am taking the October LSAT. 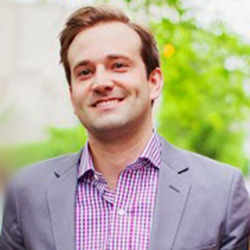 I also signed up for a Blueprint LSAT course that starts JULY 12 for the October LSAT…so my question is, how can I incorporate your study schedule with Blueprint’s? If I try to balance both will that be too much repeat/overlap? I plan on starting to study for the LSAT July. Also your 10week study plan recommends buying the LSAT Trainer but will I need that if I’m learning through Blueprint? Many of our LSAT Mastermind Group members have taken other LSAT prep courses in addition to completing the work in the LSAT study schedules. In my experience, the students who end up doing the best on the LSAT tend to be students who are able to integrate strategies from a variety of sources & develop a method of studying that works best for them personally. If you’ve signed up for the Blueprint course, then you’re going to have a pretty solid foundation… but live courses aren’t flexible, so most students who only take a live course and fail to do a significant amount of self-study on their own time tend to underperform on the LSAT. Some students sign up for a course & get lulled into a false sense of security. They think “I’m going to these classes & doing these assignments, so I must be preparing adequately for the LSAT.” More often than not, you’re unlikely to be happy with your score if that is all you do. In order to ensure that you don’t fall into that trap, I encourage you to supplement your coursework with at least some of the resources and assignments in our LSAT study schedules. You probably don’t need the LSAT trainer, but I strongly encourage you to work through the Logic Games Bible and the Logical Reasoning Bible. And although I’m not familiar enough with blueprint’s curriculum to know for sure, it is a pretty safe bet that you’d benefit from working through many additional LSAT preptests as well. That’s awesome! Cheat sheets for LR & LG will be best Easter ever!! Thank you in advance! Thanks for the feedback. I’m working on an LG Cheat Sheet so look for it later this week! I just purchased your 16-week study schedule. On Drill 3 (PT 53: 1.21 & 3.20) I was confused by the correct answer, and couldn’t figure out why these were the correct answers. Would you mind explaining? I was wondering if you have already posted the Logic Games cheat sheet, and if so, could I get a link to it? I realized the bible listed a few more reasoning types of questions that are not on your cheat sheet = should I just assume that those are not posed on the test by themselves OR should I assume that they barely show up on the tests? 9. Most Strongly Supported Questions. This is SOOOOOOO useful!! Thank you very much!! Also, do you have or are you working on a cheat sheet for the Logic Games?